When you've had a long hard day there is nothing better than getting home, putting your feet up and pampering your skin. With the weather now changing to slightly colder and crisper, your skin can feel the effects of it so it's important to keep it hydrated and well looked after. The sustainable, ethical and cruelty-free brand Eness Cosmetics has recently launched it's brand in the UK, with a new store now open in Birmingham city centre. More and more people are now looking to ethical brands to buy from, with the ever increasing concerns over sustainability and cruelty. So brands like Eness Cosmetics are sought after and there's definitely a demand for it. Eness Cosmetics very kindly sent me some of their skincare products to try and I have been using them over the last month as a treat to my skin. The Magnolia Tissue Oil is a lovely and luxurious treat for your skin, especially dry skin. I love to massage it into my skin and it leaves my skin so soft and smelling great. Another one of my favourites is the Lavender Hand and Nail Cream, which is especially good for this time of year when your hands start to become dryer. The 75ml size is also really handy for slipping into your handbag. 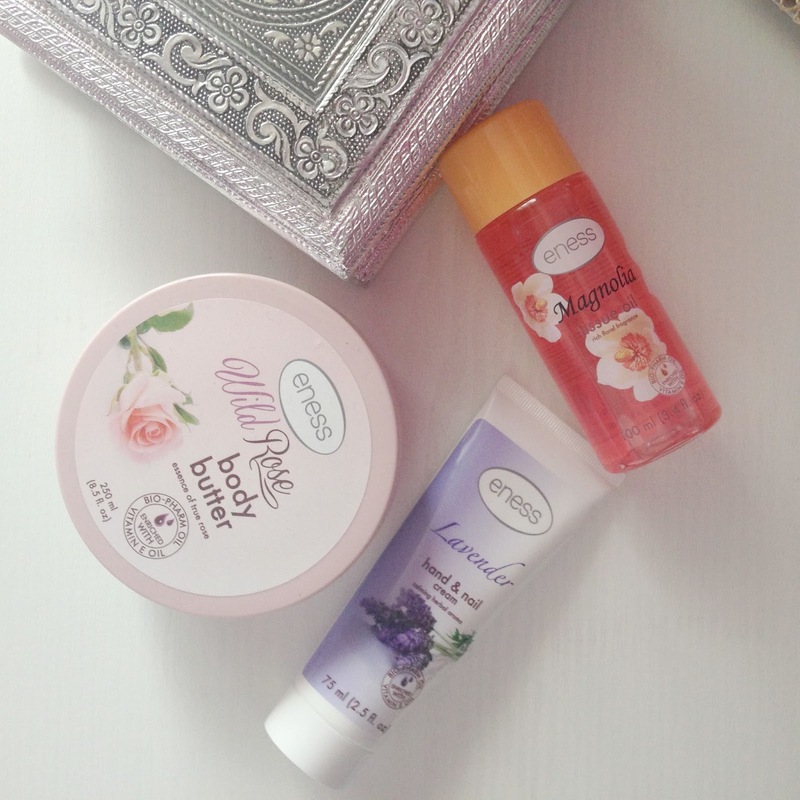 I love using body butters and the Wild Rose Body Butter is so nourishing and fresh. I would recommend using it after a long hot bath and then putting your feet up and relaxing for the rest of the evening. Eness Cosmetics have opened a brand new store on Cannon Street in Birmingham city centre selling quality body care products such as body butters, candles, soaps and body lotions. The Managing Director of Eness Cosmetics, Justin Clohessy says "As a brand we are passionate about ethical sourcing - and can reassure our customers that no animals have been used in the testing of our products. They are ethical, sustainable and support consumer values. Most importantly, they are affordable to all". Have you tried any of the Eness Cosmetics range? How do you like to treat your skin after a long day?